The 10 Best Spots for French Fries in Arizona! 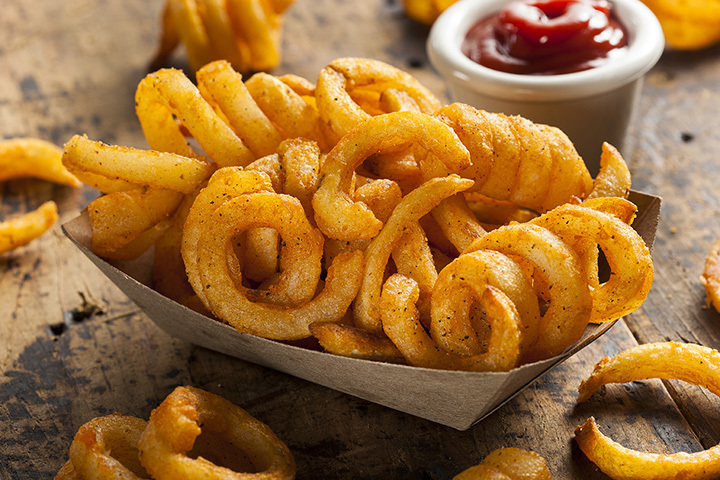 Whether it’s the curly fry you prefer, hearty steak fry, flavorful sweet potato fry, or simply the classic plain French fry, you’re going to find excellent varieties at these Arizona eateries. The following local spots have mastered the art of French fry creation and are here to spread their starchy goodness. Here are the 10 best places to get French fries in Arizona. Make no mistake—French Fry Heaven is properly named. Their fries are so good that they’ve been known to catapult your taste buds directly to heaven (true story.) French Fry Heaven’s divinely inspired fries have created a nationwide following through fresh ingredients and unique seasonings and sauces. Their signature fries include sweet potato, barbecue, and garlic and Parmesan. Bold customers can go for their loaded fries that feature crazy pairings like chipotle chicken taco, turkey bacon ranch, and pizza fries. There are a few reasons why Delux is a great French fry spot. For one, they are open until 2 a.m. so you can satisfy your fry craving late. Second, you can order regular fries, sweet potato fries, or even a mixture of the two. But most importantly, they serve amazing spicy aioli with every batch. Ketchup is good, but aioli is better. Looking to eat local? If that’s the case, then head to Flagstaff or Tucson to try out Diablo Burger. This burger joint partners with local farmers, cheese-makers, and ranchers to create healthy local fare. Diablo Burger has also crafted the best Belgian-style fries in the state. You can order a basket of their great tasting “frites” with a variety of different dipping sauces. They have hatch chile mayo, pesto, ranch, spicy honey mustard, the DB special sauce, and more. HandleBar is a hip Tempe hangout known for their brats, beers, and bike-friendly patio. That is unless you’ve tried their French fries. HandleBar dishes up some of the best-handcrafted French fries, sweet potato fries, and dipping sauces in Arizona. You can order their fries by the half pound, pound, or loaded, which includes your choice of cheese with bacon. Their dipping sauces add the perfect amount of flavor to your palette and include the likes of blue cheese bacon, sun-dried tomato aioli, and Thai ketchup. There’s no shortage of French fry options at Zinburger. You’ll have your pick of the litter between hand-cut zucchini, sweet potato, spicy green chili, and loaded fries. The loaded fries are just as described. They come with bacon, sour cream, chives and a healthy dousing of cheese sauce. Really, though, Zinburger is all about the double truffle fries. They are a masterful creation covered in truffle aioli, truffle oil, and Parmesan cheese. Next time you stop in to Arizona Wilderness Brewing for a cold glass, make sure to get an order fries along with it. Choose from hand-cut duck fat fries cooked in duck fat oil and served with house garlic aioli. The bacon and beer cheese fries are duck fat fries covered with Wilderness beer cheese, bacon bits, beer-braised onions, and “beer-b-q” sauce. You can’t go wrong with any fry selection at Arizona Wilderness. You’ll find hot buns, cold beer, and great fries at Hopdoddy Burger Bar. This burger joint is known for fresh-local ingredients and loaded burger options. But it’s their French fries that really shine. Hopdoddy’s sells simple options like the fresh Kennebec fries and loaded options like green chili con queso fries. The best of their fries, however, is the truffle fries. They are covered in Parmesan and truffle aioli and are perhaps the greatest manmade invention in history. At a place named Brat Haus you’d expect to find great tasting beer and sausages. But you might be surprised by just how delicious their French fries are. They serve authentic Belgian style fries that are hand-cut, brined overnight, and flash fried in oil. The result is a tasty side dish that pairs well with any brat or brew. Brat Haus also has a range of dipping sauces including Belgian andalouse, chipotle aioli, jalapeno ketchup, and dijonaise. You don’t have to skimp on the fries just because you want good Mexican food. By now, you’ve likely heard of the French fry filled California burrito. But what about Carne Asada fries? These tasty creations are available at any of Los Fav’s Valley restaurants. They’re fries topped with carne asada, sour cream, cheese, salsa, and a healthy dose of guacamole. Joe’s Farm is a historic Gilbert spot. The selection of French fries at Joe’s Farm include fried green beans, made with fresh green beans, hand-breaded in rosemary-dill Panko and tossed in a house-made fresh garlic sauce. The sweet potato fries served with a side of pineapple-serrano dipping sauce are to die for.